In 2015, three-time GRAMMY-winning multi-platinum artists Zac Brown Band played a hit-filled performance for a sold-out crowd at the historic Forest Hills Stadium, presented by public television and digital music series, “Artists Den”. A live recording of Zac Brown Band’s performance of “Sweet Annie,” off their 2012 album ‘Uncaged,’ from that night will be featured on Artists Den’s ‘Live from the Artists Den’: a new live compilation album that brings together the best live tracks from the last four seasons of the public television series, best known for presenting secret concerts by extraordinary artists in non-traditional, often historic settings. 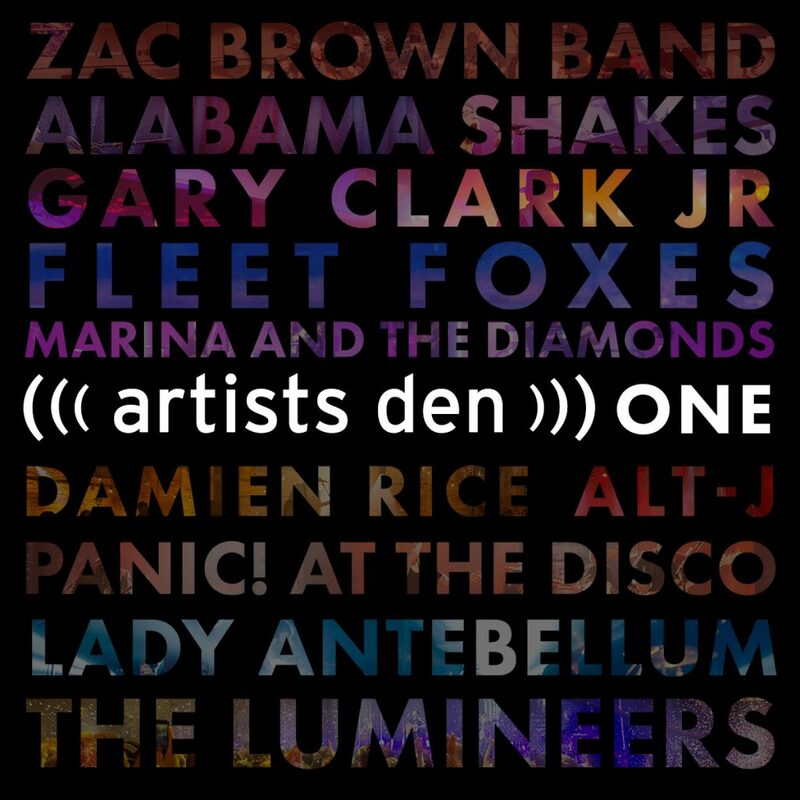 Other artists on the compilation include The Lumineers, Damien Rice, Alabama Shakes, Gary Clark Jr., Lady Antebellum, alt-J, Panic! at the Disco, Marina and the Diamonds, Fleet Foxes and John Legend.